This award cost the other guy in the boat a tournament win. Fishing tournaments started for me at the tender age of 17. 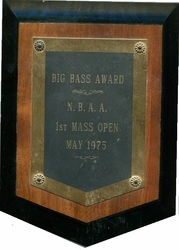 I remember placing 11th at my first tourney on Long Pond in Lakeville, MA on May 5, 1975. 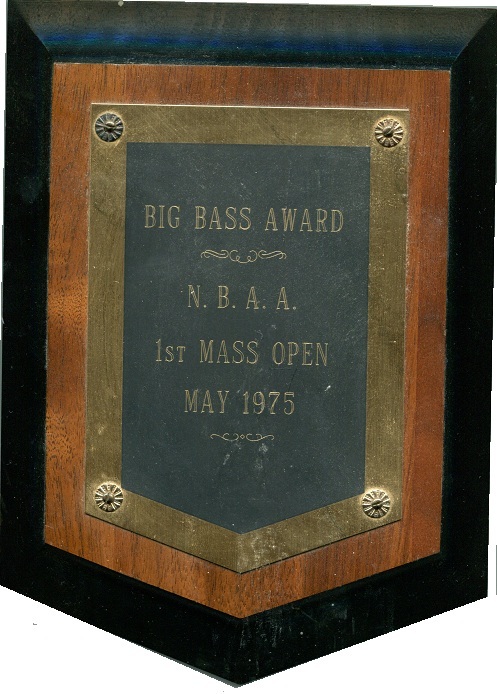 I caught the big bass of the first day, which my tournament partner to this day still claims cost him winning the tournament. I was a long-haired kid who was just fishing his first bass tournament. My friend, Steve, was about 4 pounds shy of victory. As I recall, my bass weighed about 5 1/2 pounds, so he may actually be right. I probably did cost him that tournament!